Dr. Ben’s veterinary experience and love for animals began early in life when he started working at his dad’s veterinary practice at the age of 8. He holds a Bachelors of Science degree from The Ohio State University and a Doctorate degree in Veterinary Medicine from Auburn University. He has practiced veterinary medicine in Queensland, Australia and completed a preceptorship in Miami, Florida. He graduated from a small animal rotating internship at the prestigious Animal Medical Center in New York City. From New York, Dr. Ben moved to Miami Beach, Florida and began a relief service company and mobile veterinary practice. He holds veterinary licenses in the states of New York, Florida, Pennsylvania, Texas, Colorado, and Alabama. Dr. Ben has since moved back to his home state of Pennsylvania where he has maintained a busy relief and shelter work schedule. Seasonally, Dr. Ben is a registered veterinarian for the State of Pennsylvania and works at Presque Isle Downs with the racehorses. Dr. Ben is 100% dedicated to his clients and the pets that they love. He is very passionate about this great profession as well as building relationships with owners and their animal friends. He has special interests in surgery, radiology, and dentistry. In his spare time, Dr. Ben enjoys traveling with his wife, Claudia, and son, Nolan, long distance bicycle-riding with his dachshund, Vienna, lounging with his two kitties, Bosco and Rosco, and “walking the walk” of a man of God. 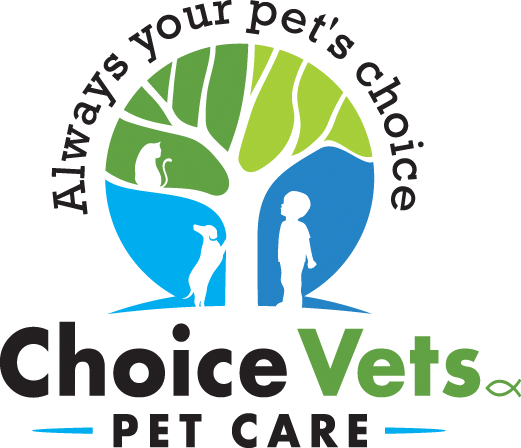 Dr. Watts is extremely excited to be joining the amazing family at Choice Vets Pet Care. He grew up in Union City area where his parents still reside. He attended Gannon University and then earned a VMD degree from The University of Pennsylvania Veterinary School of Medicine in Philadelphia, PA in 2000. After graduation he returned to the Erie area and began practicing small animal medicine. In 2002 Dr. Watts and his wife, Lorrie, moved to the beautiful community of Fairview where their two children (Logan and Rebekah) attend school and are involved with a number of activities. Dr. Watts enjoys the enhancement of the human-animal bond and strives to enrich this relationship through quality medicine and education. Special interests include dentistry, internal medicine and endrocrinology, soft tissue surgery and ultrasonography. Outside the office Dr. Watts enjoys traveling with his family, especially to new, warm, and sunny beaches. He is actively involved with the Erie Playhouse, one of the oldest and largest community theaters in the nation, as a current board member, volunteer, and occasionally as a participant in productions (Aida, South Pacific, Cats, Full Monty). He is also involved with Gannon University (Academic Advisory Committee and IACUC). He and his family are parishioners of Holy Cross Church where he sings as a cantor and participates in the choir.